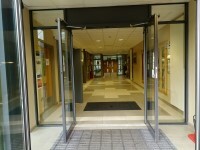 Related link Dungannon Campus - Main Building. 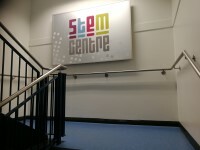 The Stem Centre is located on the second floor. 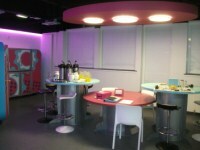 The centre is a dedicated Science, Technology, Engineering and Maths (STEM) teaching facility and exhibition space. 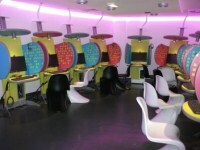 It is used to encourage enthusiasm for science-based careers and features the latest in innovative learning technologies including a 3D visualisation suite, touch screen television and 30 iPads pre-loaded with educational applications. This learning environment hosts a range of curricula-compliant activities that challenge students to apply STEM skills to scenarios including crime scene investigation and designing fashion magazines. 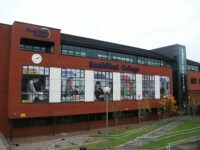 Many local schools use the facility on a daily basis. 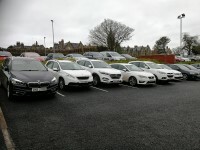 This venue is situated in Dungannon. 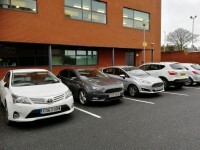 The dimensions of the Blue Badge parking bay(s) are 400cm x 470cm (13ft 1in x 15ft 5in). 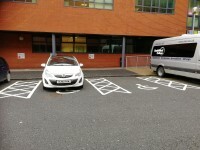 The furthest Blue Badge bay is 21m (22yd 2ft) from the main entrance. 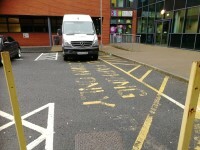 The drop off point is located directly outside the main entrance. 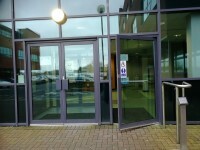 There are manual opening double doors to the left of the automatic door. 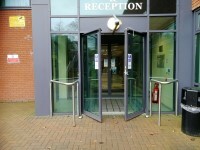 The double doors have a locked extension leaf with an opening of 90cm, are push to open and heavy with a second set of doors the same immediately after. 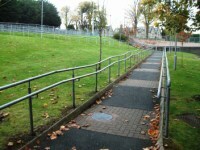 The ramp/slope is located leading down to the entrance from Circular Road. 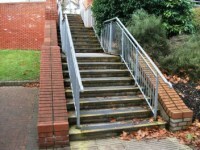 The step(s) is/are located leading down to the entrance from Circular Road. 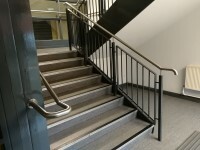 The floors which are accessible by stairs are B, LG, G, 1, 2 and 3. 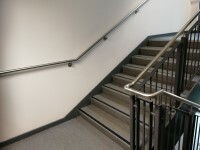 The stairs are located to the right of the main entrance and opposite lift 1/2. 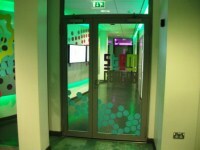 There are manual, heavy, double doors to on all floors. 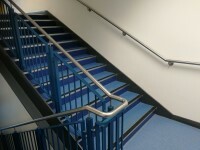 There is another set of stairs opposite lifts 3/4. You are on Lift (3/4). Skip to the next section. 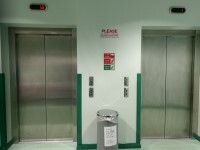 The lift is located to the left in the corridor on entering from the main entrance. 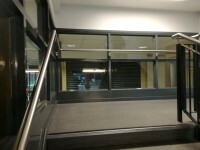 The lift is approximately 25m (27yd 1ft) from the main entrance. 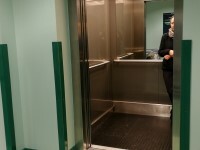 The dimensions of the lift are 155cm x 135cm (5ft 1in x 4ft 5in). 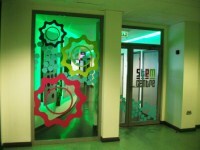 You are on Outside Access (Stem Centre Entrance). Skip to the next section. 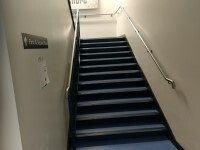 This information is for the entrance located on the second floor. 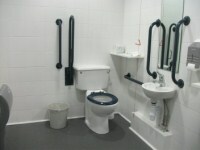 The accessible toilet is 8m (8yd 2ft) from the Stem Centre entrance. 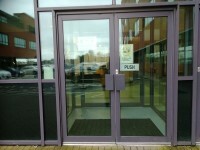 The accessible toilet is located in the corridor immediately beyond the entrance, to the right. 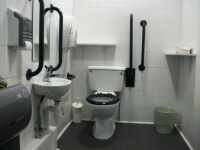 The dimensions of the accessible toilet are 133cm x 214cm (4ft 4in x 7ft). 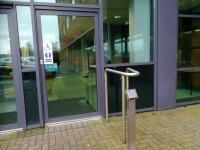 The accessible toilet is 12m (13yd 4in) from the Stem Centre entrance. 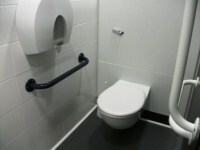 The dimensions of the accessible toilet are 162cm x 214cm (5ft 4in x 7ft). The female and male toilets are located in the corridor immediately beyond the entrance. 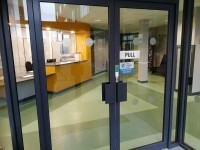 The female and male toilets are 14m (15yd) from the Stem Centre. 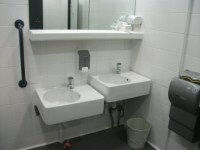 There are vertical and horizontal wall mounted grab rails in the standard toilets.